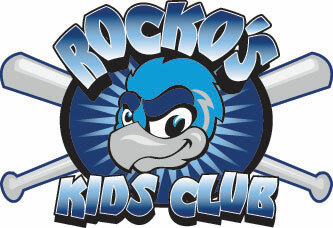 November 28, 2007 - LOVES PARK, Ill. – The Rockford RiverHawks announced Wednesday that they will hold a Christmas blowout sale and a food/clothing drive 8 a.m.-6 p.m. Saturday, Dec. 15 at the team store at Road Ranger Stadium. Everything in the store is priced at 25 percent off. In addition, customers who donate non-perishable food, clothing or toys will receive an additional five percent off for each five items donated, up to a total of 15. Donated items will go to the Rockford Rescue Mission. “This is an opportunity to give during the season for giving while receiving huge discounts on RiverHawks apparel for Christmas,” general manager Josh Olerud said. Fans can also purchase discounted season tickets, as well as gift cards for stocking stuffers. Mascot Rocko the RiverHawk along with Belvidere native Andrew Sweet, who played for the RiverHawks in 2007, will sign autographs. Hot chocolate and cookies are also available. Visitors can register for door prizes, including an opportunity to throw out a ceremonial first pitch at a 2008 home game.